Hungry? A new neighborhood Hawaiian spot has you covered. 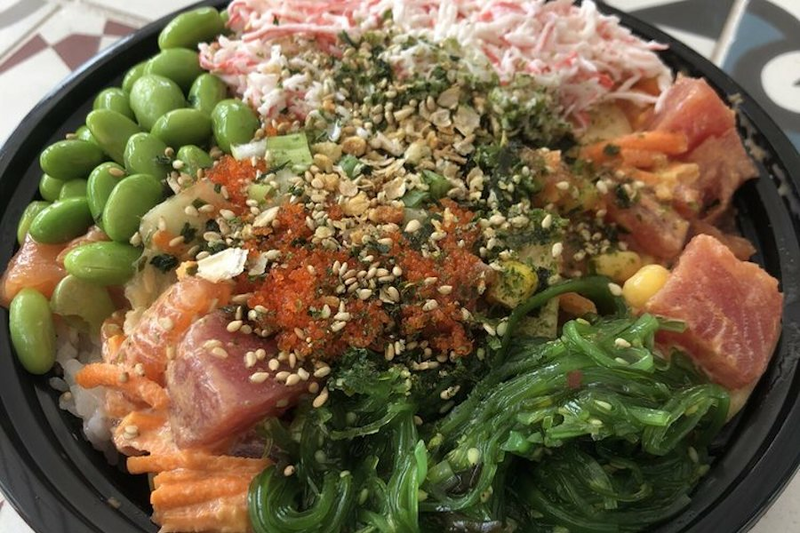 The fresh addition to Concord, called Poke Bowl, is located at 2045 Diamond Blvd., Suite 22. On its website, the restaurant says it aims "to share that authentic Hawaiian-style experience of poke with the world while adding a little Cali fusion." It also has locations in San Francisco and Colma. Poke Bowl has made a good impression thus far, with a four-star rating out of 20 reviews on Yelp. Kev H., who was among the first Yelpers to review the new spot on Sept. 14, wrote, "The price for a three-scoop bowl is less than $10. You can't beat that. Their scoop portion of protein is generous, and some of their free toppings are protein, such as jelly fish and fish roe." Stella S. added, "We ordered the small size with salmon and albacore over salad and small size with albacore and spicy tuna over half salad/half rice. Overall, a yummy lunch in a relaxing atmosphere." Intrigued? Stop in to try it for yourself. Poke Bowl is open from 11 a.m.-10 p.m. daily.